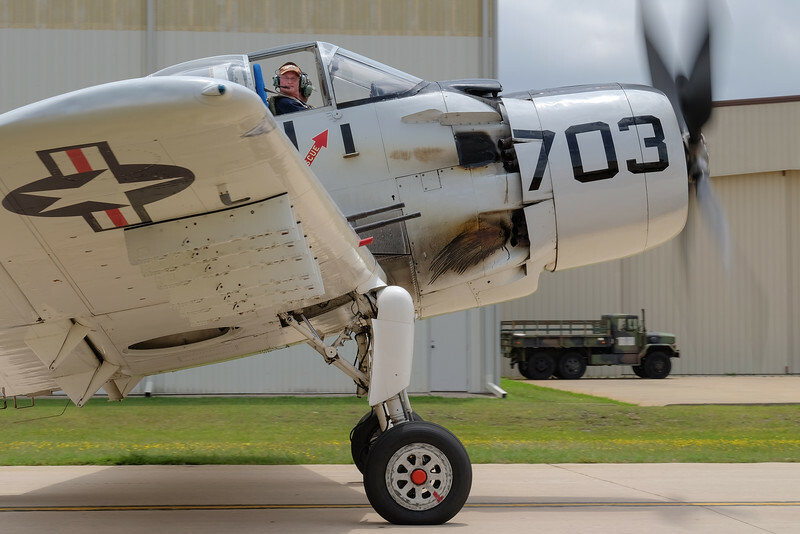 Earlier this week, I got back from the World's Greatest Aviation Celebration; Airventure 2015. Most Aviation geeks refer to it as "OSHKOSH"; named after the city in Wisconsin where the yearly event is held. The image below, which symbolises the overall celebration aspect of the show, was shot at the end of one of the "Night Airshows". After having been on the airshow grounds for more than 14 hours, I thought I was pretty much done with my photography for the day, until I spotted a great angle to shoot the fireworks over the worlds only flying Boeing B-29 WW II bomber. Unfortunately that night I didn't have my tripod with me; so it was back to good old handholding technique... Given the image was shot at a full frame equivalent 30mm focal length, the general rule of thumb dictates a 1/30s minimum shutter speed. However at ISO 3200 my shutter speed turned out to be 1/2 sec.Kudos to the amazing Fujifilm Optical Image Stabilisation (OIS) on their latest lenses, the image came out very sharp, with virtually no motion blur, at half a second. Beside, shooting at ISO 3200 is virtually noise free of the Fujifilm X-trans sensors. During the next week, I will be uploading new images from Airventure 2015 here. France has played a big role in Aviation since the early days; dating back to the end of the 18th century when the brothers Montgolfierflew their manned balloon for the first time, through Louis Blériot who was first to cross the English Channel in 1909, to large mixed-European projects where France played a significant role such as the Supersonic Concorde and Boeing biggest competitor "Airbus". In this weeks Pic(k) of the week, I would like the honour two famous French Aviators in one symbolic image; French World War I ace, Georges Guynemer and Airbus test pilot Jacques Rosay. 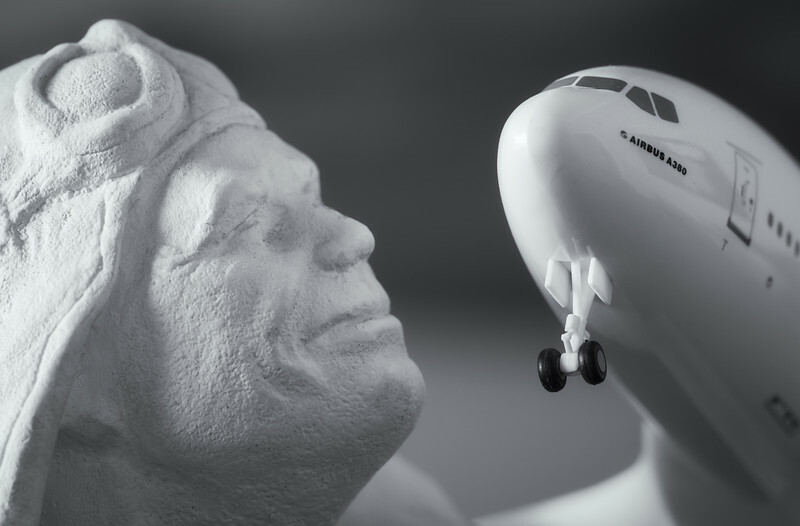 To the left in the image below, is a small statue of Georges Guynemer; a French beloved fighter pilot who lost his life at age 22 during a dogfight with German pilot over Poelkapelle, Belgium on September 11, 1917. With a total of 54 victories during WW I, Guynemer was one of the top flying aces of the Great War. The statue in the image, was given in the late eighties, to my family by a member of the French "Guynemer Committee", as a thank you for organising the Guynemer remembrance fly-in, at the Moorsele airfield (close to where G. Guynemer was shot down). To the right is a model of the Airbus A380, the mega-airliner I fly for a living. This a remembrance for Airbus test pilot Jacques Rosay who performed the first A380 take-off on April 27 2015 and who unfortunately passed away last month. Although I never met Jacques in person, he was known for being a very humble and down to earth person and a highly skilled pilot. A great story on the morning of the first A380 flight, is how Jacques took his bicycle in his car, in case he became blocked in one of the many expected traffic jams around the Toulouse airport. After all the test pilot can't be late for a first flight! 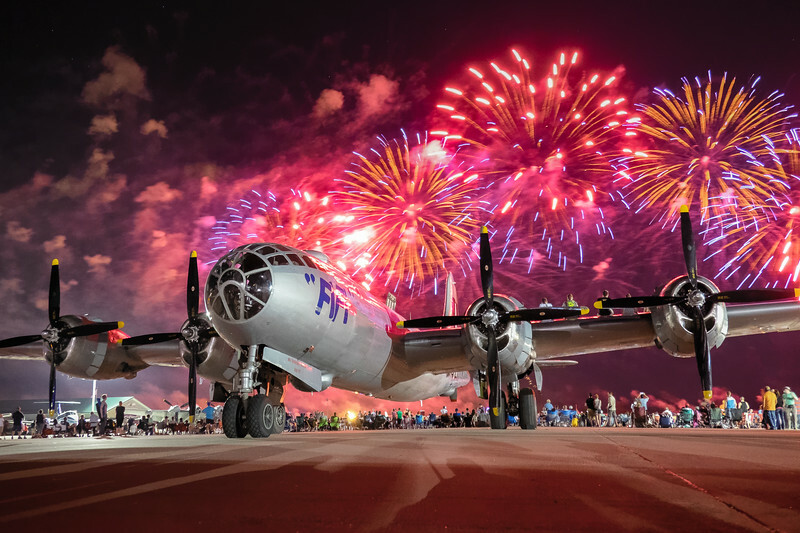 If all goes as planned, I should be attending a few major Aviation events; starting tomorrow, I hope to make it to Oshkosh, WI (USA) for "Airventure 2015"; often referred to as the Worlds Greatest Aviation celebration! Images of my visit in 2008, can be found here. Meanwhile more of my Aviation Photography lives here. Remember: "The engine is the heart of an aeroplane, but the pilot is its soul!" 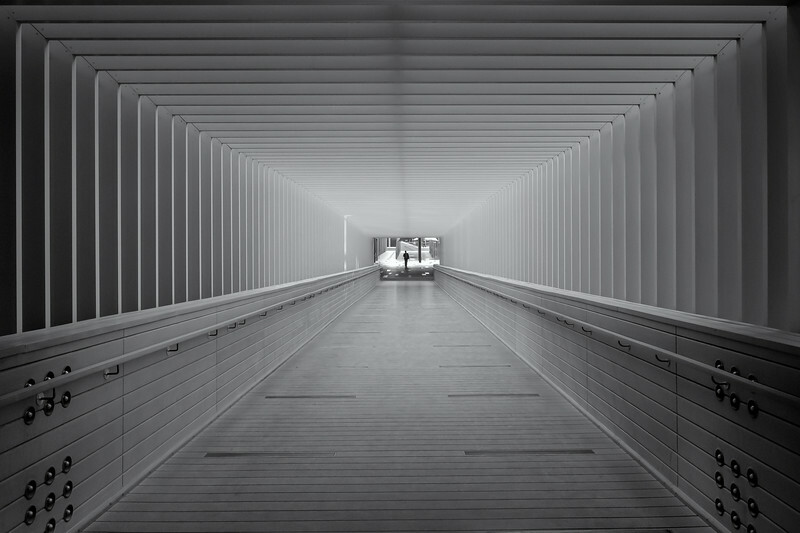 When I shot the image below at Dubai International Financial Centre (DIFC), the expression; "Whatever you are going through, there is light at the end of the tunnel", flashed through my mind. In todays worlds this could be appropriate for many different walks of life; whether it is for the people in Syria or other countries at war who are trying to find a better life, for people who have lost a loved one or for the Greek people who are going through a rough period. We can all adapt it to our own lives. More Architectural photography shot in Dubai can be found here. Remember; "Sometimes the light at the end of the tunnel is a train". 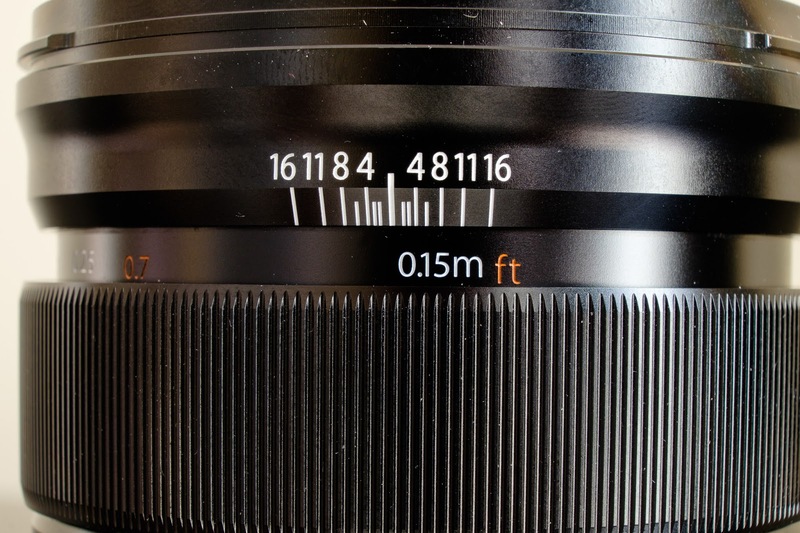 Extension tubes are often looked at as cheap alternatives for a Macro or Close-up lens. 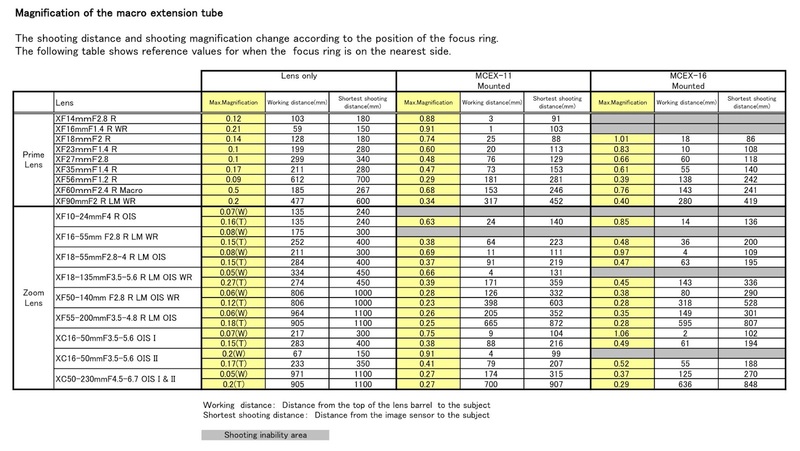 The longer the tube, the closer the focus distance becomes, but also the more the distant/infinity focus is affected. Because there are no glass elements in extension tubes (hollow tubes), most photographers tend believe that there is no difference in the image quality compared to shooting without them. However because lenses are always optimised for a specific distance between the lens and sensor-plane, there can be a reduction of sharpness towards the edges of the frame. Given the depth of field is so limited to start with, this is often not a big issue. End of 2014, Fujifilm announced two extension tubes for their X-series lenses; an 11mm and a longer 16mm. They retail for 99,USD each and are made of quality metal, giving them the nice Fujifilm feel we are used to see with most of the XF lenses. 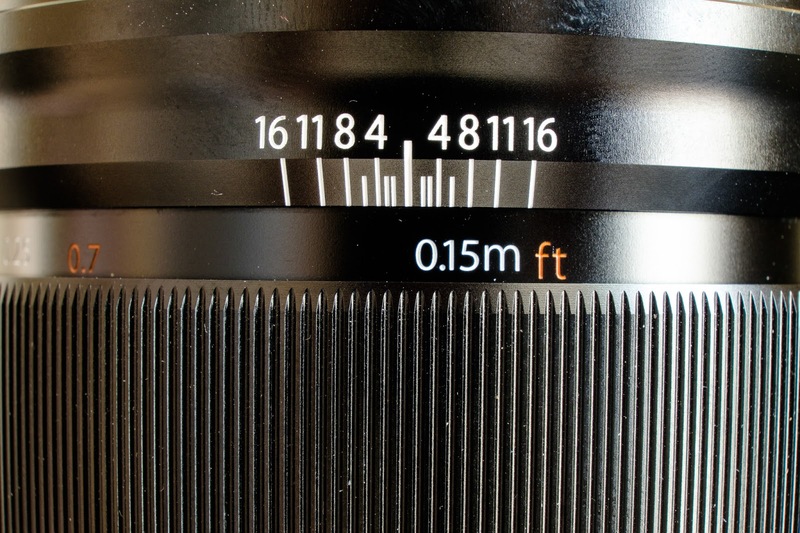 Important for extension tubes is that they fit tightly between the camera and the lens. This is something that cannot always be said of the cheaper third party extension tubes... Having a lens falling off the camera, can easily be more expensive than paying a bit more for the original extension tube(s). Unlike some of the cheaper Chinese brands, the MCEX-11 and -16, communicate perfectly with all of the X-series camera bodies; IOS and Autofocus work just fine. Unfortunately, the EXIF data does not know whether the extension tube is connected or not. Both extension tubes come without any form of cap or protection case; something that I did expect for an otherwise high quality item. 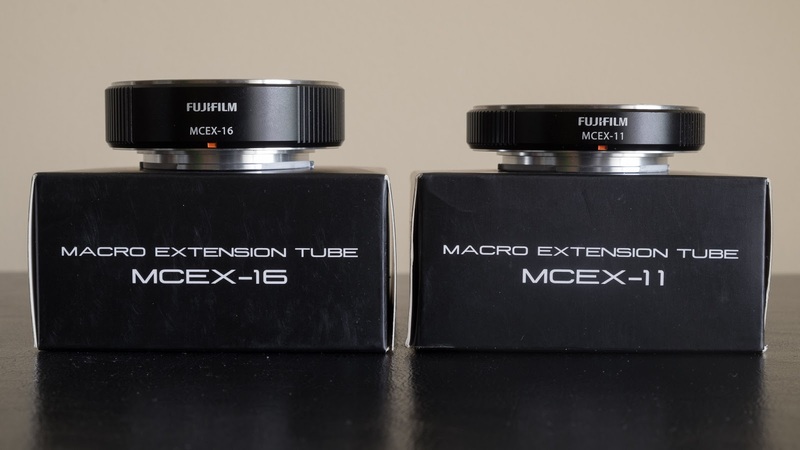 Fujifilm has an updated table, listing all of the XF lenses and their compatibility with the MCEX-11 and -16. The table below, can be downloaded here. 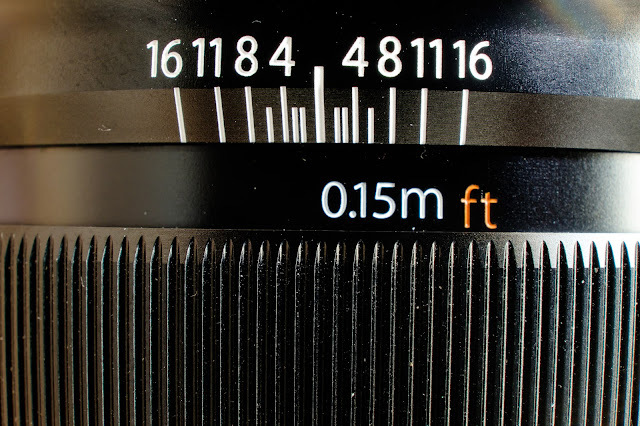 It lists the maximum magnification (an excellent article on magnification can be found here), working distance and the shortest shooting distance. 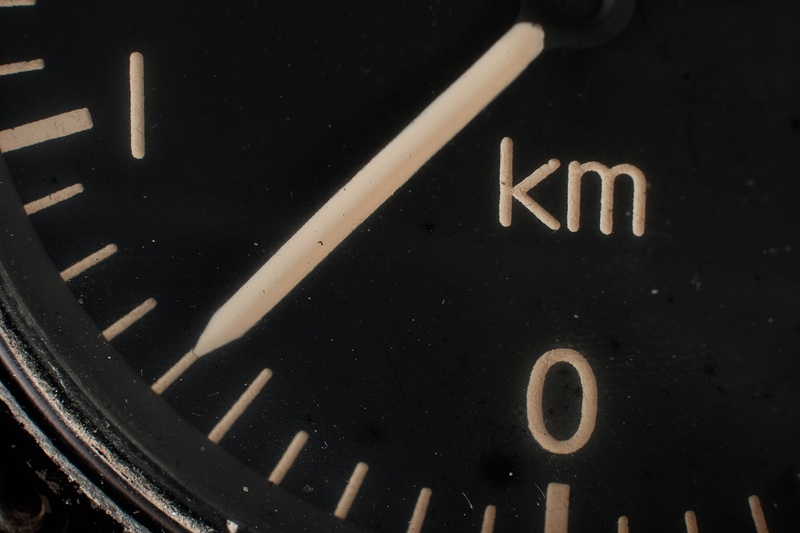 Practically speaking the working distance is the most useful as it shows the minimum distance in mm between the lens barrel and the subject. Browse the table to see if either the 11mm or 16mm version will best work for the specific lenses you want to use it on. I personally would not plan on using a combination of lens and tube if the working distance is less than about 20mm. Otherwise the lens element often creates a heavy shadow on the subject or might even completely block the light. 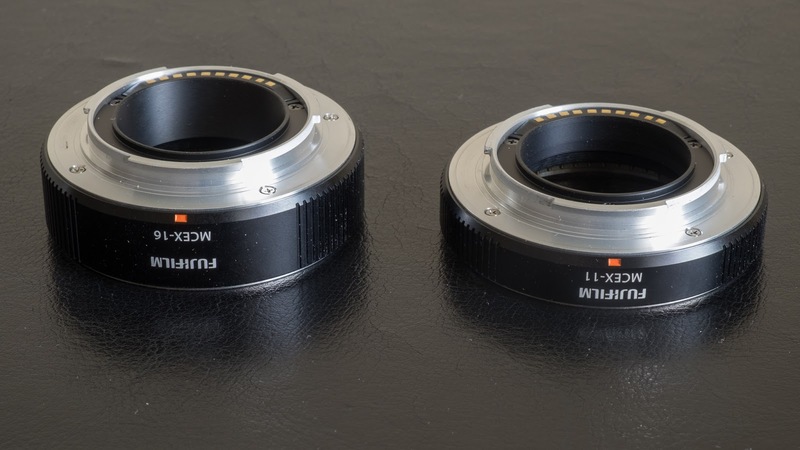 Personally I find the XF18mm, XF23mm, XF27mm and XF60mm primes, the most useful for the Fujifilm extension tubes. Otherwise the XF18-55 "kitlens" is especially good at the longer focal lengths (i.e. 55mm). Notice that some lenses such as the XF10-24mm and XF16-55mm, can not be used with the tubes at all. 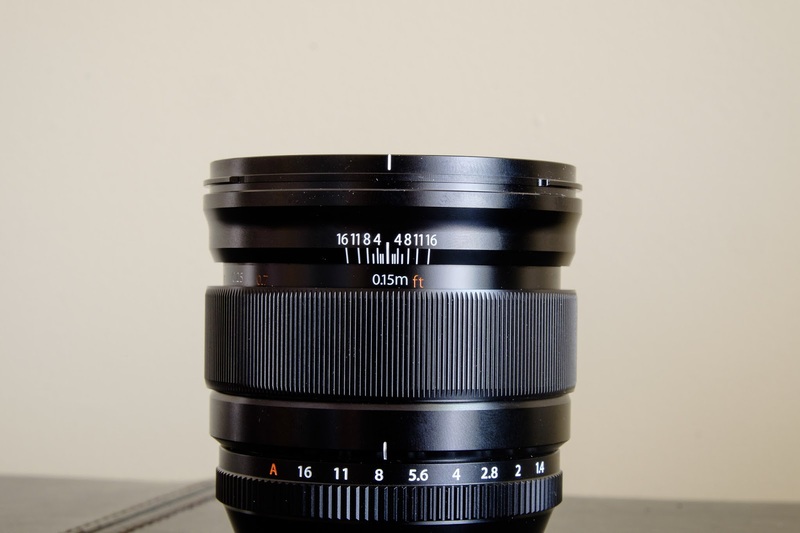 The XF18-135mm can only be used with the MCEX-11. Below is a series of images shot with XF18-55 at 55mm at f16. No post-processing, shot in RAW and exported to jpegs through Lightroom CC. Even though the compatibility table above, shows no column for both extension tubes stacked together, it does work with some of the lenses and focal lengths. See image above. A few more test images with the 27mm prime and 18-55 and can be found below. 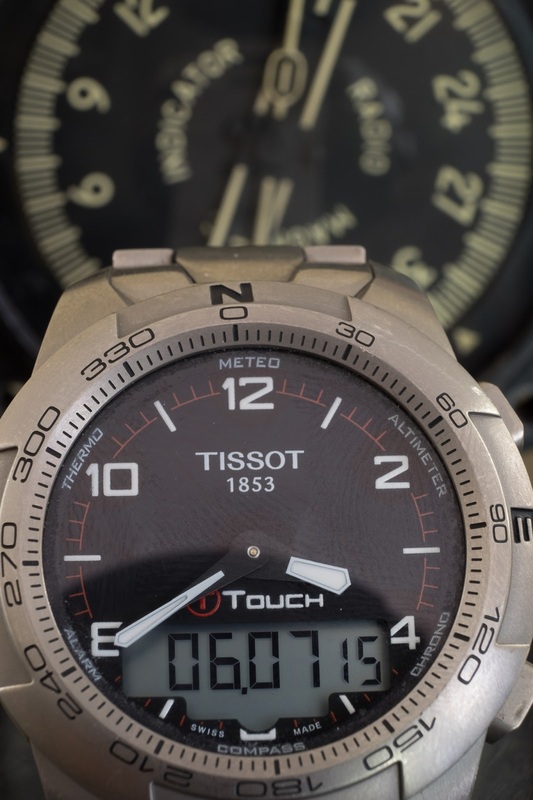 Notice the very narrow depth of field (max a couple of mm), where the right side of the instrument is in focus, while the left is not. This with a very small angle between the instrument and focal plane. This time the subject is completely parallel to the focal plane and the complete image is in focus. Little to no smearing at the edges of the frame was found. Some of you might find the price tag for the MCEX-11 and -16 on the high side for a something that just "spaces" your lens further away from the camera. Given the high quality the rings, I do recommend getting at least the MCEX-11; for less than 100,USD it might even boost your creativity. If you are not sure, the MCEX-11 mounted on the 27mm pancake lens is a great combination to start with. Because the lens is so small the working distance remains pretty high at 76mm for the -11 (60mm for the -16). Otherwise I did also like both the -11 and -16 version on my 18-55 kit-lens as long as it is not used at the wider focal ranges. To me the tubes are not a real replacement for real Macro photography but just another tool in your camera-bag. Their small size and compactness can come in handy when the unexpected need for a closer focus distance and higher magnification is called for. A good example would be a wedding photographer who takes a few shots of the wedding rings with an extension tube, rather than using a dedicated Macro lens. As a pilot, over the years I started collecting old aircraft instruments which often bring back memories of aircraft I used to fly. 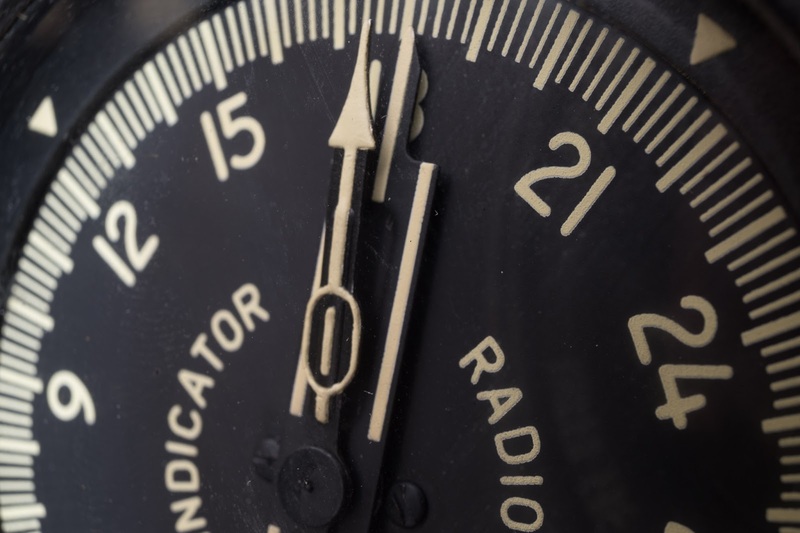 It's hard to believe that aircraft manufactures started replacing the "round dial" instruments with small computer screens, over 35 years ago. While the McDonnell Douglas MD-80 was probably the first airliner to use this type of "modern technology", also referred to as EFIS (Electronic Flight Information System), it would take about 2 decennia before the new stuff started showing up in small general aviation airplanes. Today pretty much all new aircraft come with a full "glass cockpit"; nickname for an airplane with EFIS. Because glass cockpits are so common, a new nickname was given to the old style of instruments: "Steam gauges". They clearly don't run on steam, but the name implies using "old technology" like steam engines in modern times. Anyway, enough Aviation talk! 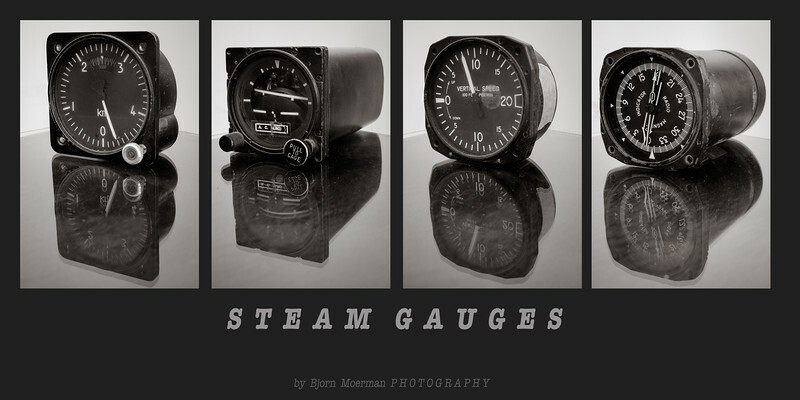 Because I'm pretty much stuck photographing indoors due to the soaring Summer temperatures here in Dubai, I thought it would be an interesting project to photograph some of my "Steam gauges". "Remember the things that do you no good in aviation; Altitude above you, runway behind you and fuel in the fuel truck"..."
Exactly one year ago I blogged "BYE BYE NIKON, HELLO FUJIFILM"; a very popular blogpost in which I explained my recent switch of camera systems. 12 Months later, it is the perfect time to revisit that big decision! Once again, I would like to highlight that the switch wasn't (and isn't) about the two specific brands, but rather about a complete change of my photographic philosophy. Today, all of the original blog content is still very much valid. If you haven't read it, I suggest you first check it out here. WEIGHT AND SIZE DO MATTER! As a Travel photographer, the number one advantage of using a mirrorless system is clearly the saving in weight and size. With the worlds airlines implementing more restrictive rules for hand luggage, this has become even more important today. As I'm planning for a few intercontinental flights over the next few weeks, I know that I'll be able to take all of my Fujifilm gear while easily staying within the max hand-luggage limits. Having the ease of mind knowing that all of my camera equipment is save, is already worth the price of admission! Just over six months ago, I took my Fujifilm photo-gear on a two week photo-adventure to Myanmar (former Burma) and likely made some of my most iconic travel images in my photographic life. Even though some of the photos could have been easily shot with DSLR cameras, the fact that I was travelling light made for a much more intimate and personal type of photography; especially when it comes to photographing people in remote villages that have never seen anything larger than a cellphone camera. I'M NOT THE ONLY ONE SWITCHING! Well, obviously everybody is different and I fully respect people that elect to stay with the DSLR camera system. After all we need to make up our own minds and see what is the right tool for the right job! The movement of switching to mirrorless systems seems to have definitively accelerated over the last 12 months. Browsing the net, I see more and more renown photographers making the full (or partial) switch to a mirrorless system. When I switched mid 2013, the number of Fujifilm lenses was still somewhat limited. Over the last 12 months the company has however released new lenses faster than I could review them! X-shooters now have a complete high quality lens selection from 10 mm to 200 mm. Only counting the XF (pro-quality) lenses, there are 16 of which 10 are primes. Sony A7-users please take note! 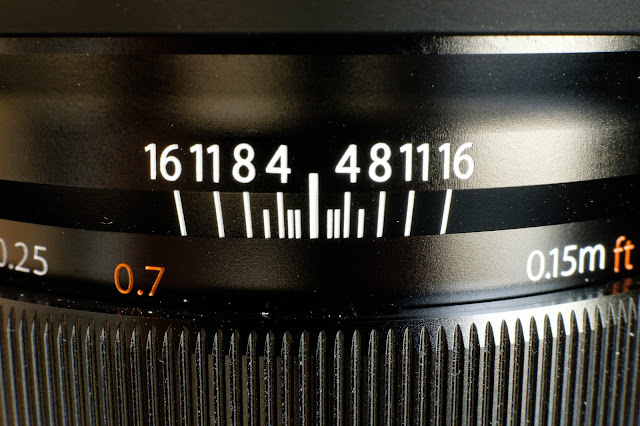 Unlike other camera/lens manufactures, Fujifilm regularly updates their customers on the planned new lenses by issuing what they call, a lens road map. One of the main outstanding lenses, which will make Sport and Wildlife shooters happy, is the 100-400mm, to be released early 2016. For me the lenses that had me most excited over the last year, are two new Weather Resistant (WR) lenses; the XF50-140 f2.8 and the brand-new XF16mm f1.4 prime. Fujifilm is renown for regularly updating their existing cameras firmware and this way releasing functions that are only available on its newer cameras. These updates often go back to cameras that are several years old and create great loyalty to the company. A typical example is the complete overhaul of the X-T1 "autofocus system", which has just been updated to the brand-new X-T10 standard (review here). All of this by a simple firmware update, called 4.0 (released end of June 2015). While other camera manufactures would launch a complete new camera model (Canon and Nikon, take note! ), it really is like receiving a brand-new camera for FREE. As I personally have not got enough exposure to the new autofocus system, I won't go into details but will rather refer the readers to a dedicated Fujifilm AF site explaining the new Autofocus! Click here for more info. I am very excited about the new AF as it made a great first impression while testing/reviewing the X-T10. End of the month, I plan on attending the worlds largest Airshow in Oshkosh, WI (USA) and hope to put the new system through its paces. Of course it isn't! I've always tried to be fair and honest in my camera and lens reviews and will continue to do so! The good news is that after having used the X-T1 for over a year in harsh conditions; temperatures ranging from well below freezing to +50C, in sandstorms and downpours; the camera has not missed a beat. I do however have some concerns about the quality of some of the plastic and rubber parts used; the left side-door has expanded somewhat and doesn't close properly anymore; not desirable for a weather sealed camera! Secondly some of the rubber parts on the backside of the X-T1, are slowly letting loose. Both of these are probably the result of regularly operating the camera in very high temperatures and humidities, but will need to be addressed in future updates. To be fair, all of my Nikon cameras (and lenses for that matter) had the same issues with the rubber getting loose but then again Fujifilm needs to do better! I'm presently looking into replacing some of the rubber parts with new ones which is more of an inconvenience rather than a cost. Having being exposed to the same environmental conditions, all of my lenses are still in a pristine condition. Even though, Fujifilm is clearly listening to its customers and is giving them frequent new functionalities through firmware updates, there is always room for improvement... One of the main outstanding concerns for me, is the lack of decent "exposure bracketing"; Fujifilm Japan", we need a minimum of +2 and -2 stops (preferably 3) on the AE bracketing. Needless to say, I was very disappointed to see it wasn't included in the X-T1 4.0 update. The Fujifilm X-trans sensor and more specifically the newer X-Trans CMOS II sensor used on cameras like the X-E2, X-T1, X-T10, X100S and X100T, is revolutionary to say the least. The image quality through its non-standard pixel array, equals or even surpasses some of the full frame sensors. For more technical info click on the following link. The problem is however that some of the RAW file converters are not really keeping up with the latest and greatest image sensor technology. Lightroom for example, was known to struggle with some of the more demanding Fujifilm RAW files. For RAW files which contain a lot of foliage or other fine details, I do use Iridient Developer. This stand alone software made by a small company, is for me the best Fujifilm RAW file image editor. Even though editing the RAW file in Iridient and then continuing the rest in Lightroom is not that hard, staying in a single application is obviously more desirable. Right now I tend to do about 80% of my RAW file image editing in Lightroom. Overall I definitively have no regrets having made the move to Fujifilm. Not a single time did I miss not having a DSLR during the last 12 months. Just like most Fujifilm shooters, I'm obviously interested in what the company will release next... Rumours seem to be predicting a possible 1.3 crop factor (closer to full frame) higher resolution camera (X-Pro2?) which will work with all amazing Fujinon XF glass. I guess time will tell! To me it has never been a more exciting time to be a photographer. Remember: "Life is like a camera, focus on what is important and you will capture it perfectly"
Always find it kind of strange, how some cities seem to work much better for Street Photography than others... Outside Europe, New York and Hong Kong are my two favourite places to document the streets. When it comes to large cities in Europe; Amsterdam and Paris are probably the highest on that list. 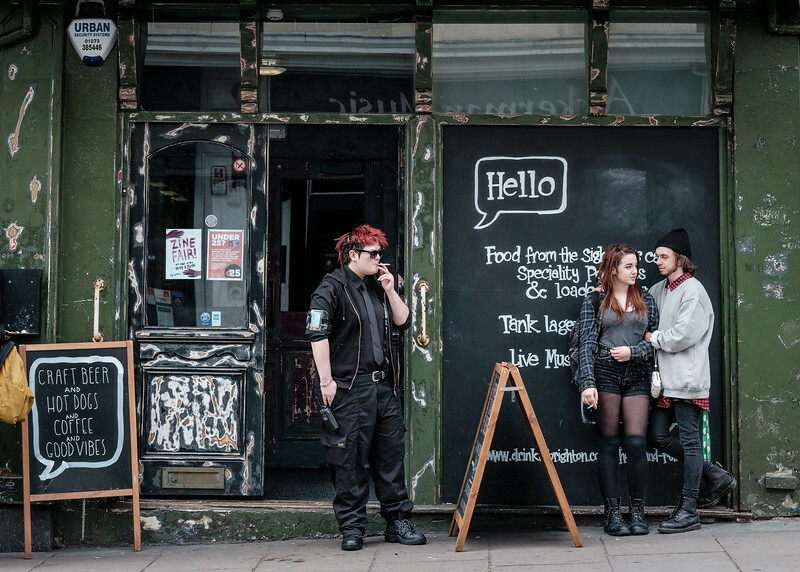 However, on a smaller scale, I recently have become a fan of another interesting place: Brighton, a town on the South coast of England, about 1 hour by train from the capital, a full of Street Photograph potential! After the railway started reaching the coastal-town in 1841, it quickly became a destination for day-trippers from London; something that still is valid today. Some might also know Brighton as the Gay capital of the UK or the place where some famous music bands were discovered... Either way, the town has definitively somewhat of an eccentric feel to it. Perfect for good old Street Photography! I'm particularly attracted by the somewhat crunchy feel of the scene and find that the viewers eyes are kept well inside the frame. A highlight in the colour version of the image, is clearly the red hair of the person in the centre of the frame. To check out a Black and White version of the same image, click here. More of my Black and White Street Photography shot throughout the UK, can be found in a gallery called: "Shooting UK streets".